Go inside the mind of zany independent horror and science fiction film director, Lloyd Kaufman, as he discusses his life, work and the state of indie movies and the film industry in the new documentary, ‘Dinner with Lloyd.’ The independent feature length documentary, which also explores the history of Kaufman’s Troma Films, is now available on DVD, Digital Download and Video on Demand worldwide. 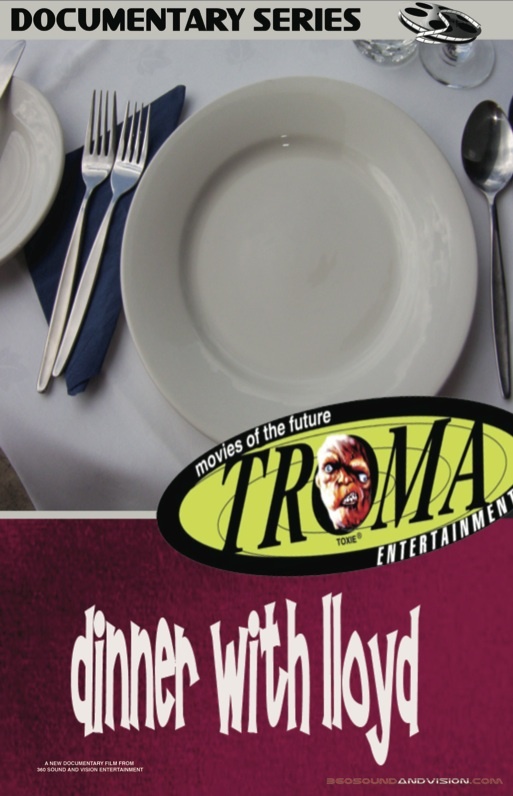 ‘Dinner with Lloyd,’ which was helmed by Dwayne Buckle, was shot at Kaufma’s Troma Film Studio in New York City. The documentary was released by 360 Sound and Vision, an independent distribution company in Tribeca, New York. The distributor releases a variety of film, documentaries and music products. The independent motion picture company makes innovative films for innovative minds. For more information on ‘Dinner with Lloyd,’ visit the company’s official website.